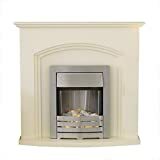 This beautiful table fireplace is a safe, decorative idea that is pure cosiness, (incl. 1 litre bioethanol) with metal housing and safety glass. 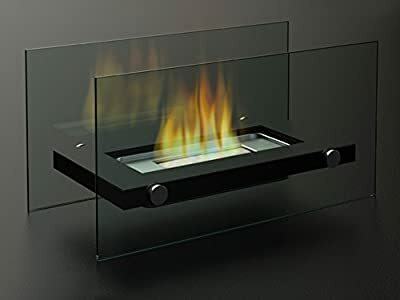 You can create a cosy, intimate atmosphere in your living room or on your patio with this bioethanol fireplace. 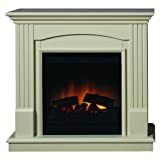 This decorative fireplace set is also a great gift idea for your loved ones. 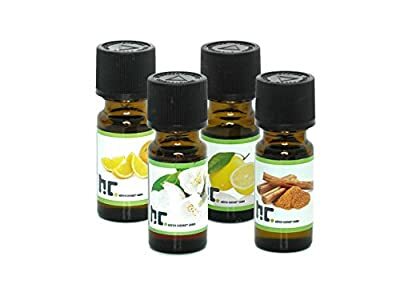 For an additional, pleasant atmosphere, you can use the included high-quality scented oil (set of 4 bottles of scented oil, 10 ml each in the varieties: Lemon, orange, jasmine, cinnamon. Depending on the required fragrance intensity , 5-6 drops is sufficient for 500 ml of liquid. 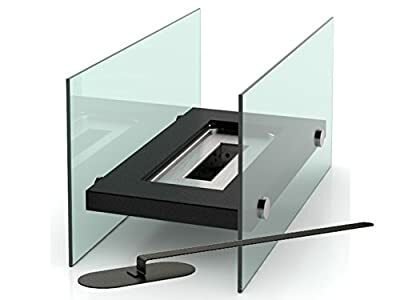 This glass fireplace does not need a flue, and thanks to the bioethanol it is odourless and there is no soot or ash. 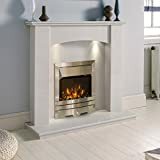 Includes a snuffer for safely putting out or adjusting the flames. 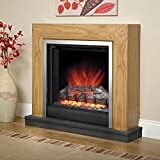 Since the tabletop fireplace is suitable for indoor and outdoor use it can be used all year round but it provides a cosy atmosphere especially during the pre-Christmas period. 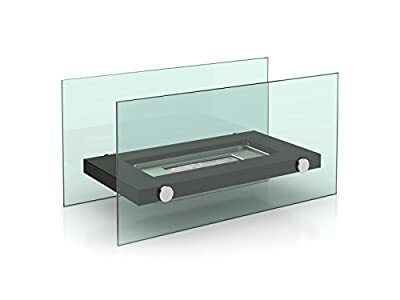 Material: Metal housing and toughened safety glass: 5 mm. Glass plane dimensions: 34 cm x 16 cm x 0.5 cm. Dimensions: 34 cm x 16 cm x 17 cm. 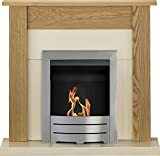 You should only use bioethanol fuel in this fireplace, gel fuel should not be used. 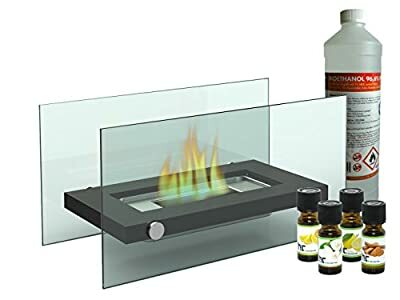 The scented oil is suitable as an additive/aroma oil for oil burners, aroma lamps, potpourri, fragrance diffuser, aroma diffuser and also for decorative fireplaces that are powered with ethanol, fuel gel or lamp oil. When used with ethanol, gel or lamp oil, we recommend adding the fragrance before lighting.